HOUSEN GAMA Kaneyoshi Seitosho Inc.
“Toki” which has a simple texture showing through the glaze and the “likestone” which has the form and texture just like real stone. 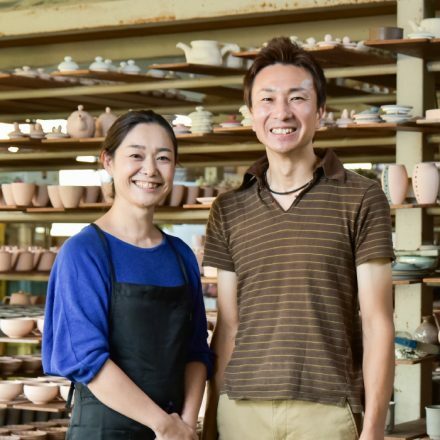 Both of them are Housen-gama’s original brands made from their specialized clay. 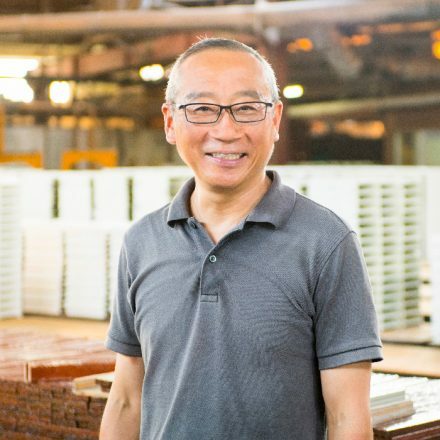 Since the beginning of the company in 1980, Housen-gama handled ceramics for commercial use such as making bowls for major food chains. 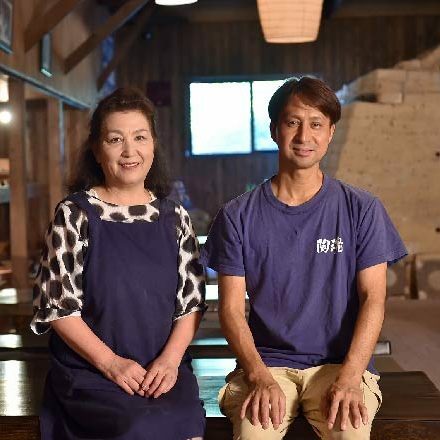 In 2001, as the market was shrinking, second-generation president, Yoshitake Kitamura, decided to make an original product. 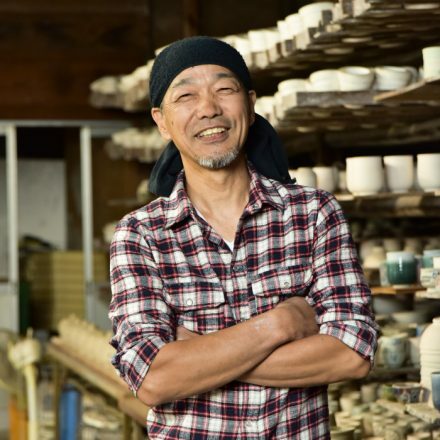 “Such as a potter who goes to the mountains to find a particular soil, or crushes stones gathered at a riverside to mix them for a particular blend, I wanted to try the same as the potter but on a bigger scale”, said Kitamura. Blending clay wasn’t so easy. Usually the potter buys clay from a company who professionally blends, so it was hard for us to make clay from scratch without having knowledge nor the technique. “Soils and stones mix together but if the blend is not good, you cannot form the clay. Too many stones make clay hard and easy for it to crack. Too much soil makes potteries melt during the firing process.” The goal was to make original clay. 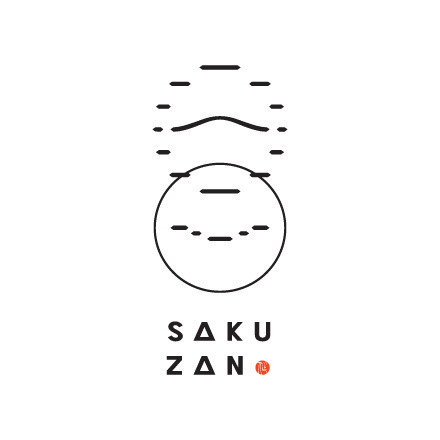 “HOUSEN-NENDO” their original clay launched after 3 years of trial and error. Using the clay called, Gairome-nendo(ball clay) and blended with various pottery stones and feldspars from different areas, it completed creating clay resembling the texture of soil. Next step was what to make with this clay. 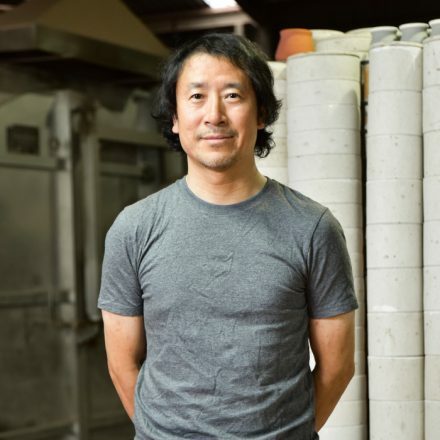 “We tend to make ceramics which are familiar to us and easy to make. 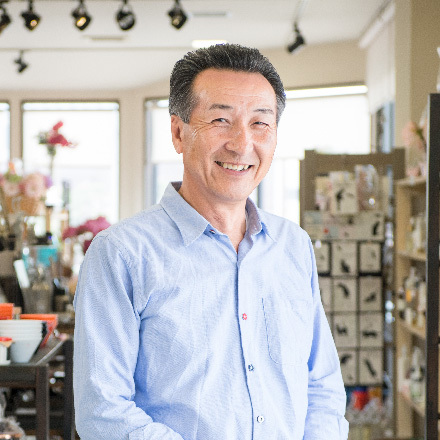 We wanted to break out of our comfort zone.” Kitamura went to a large art event in Tokyo and thoroughly searched for a designer to work with. He finally met a women who was active as a graphic designer. 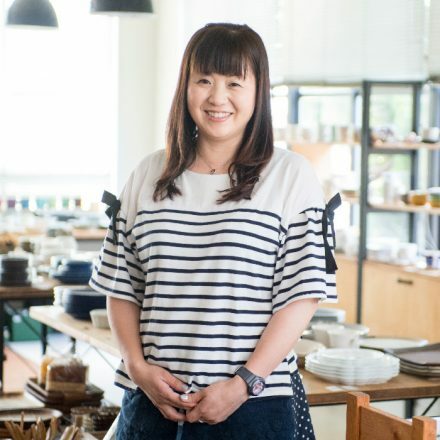 She absorbed the passion of their clay and raised the concept, “Toki”. An oval rim plate which was inspired by a ripple formed from the drop of morning dew on the surface of the water, a solid tea set resembling those at a traditional Japanese tea ceremony, and small bowls round like a moon. These eye-catching designs are beyond ordinary ceramics. Yet, you can still sense the warmth of the clay through the thin glaze. 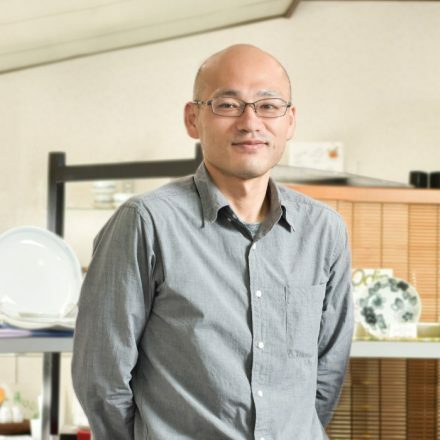 In 2014, “Toki” drew a great deal of attention at the tableware exhibition. 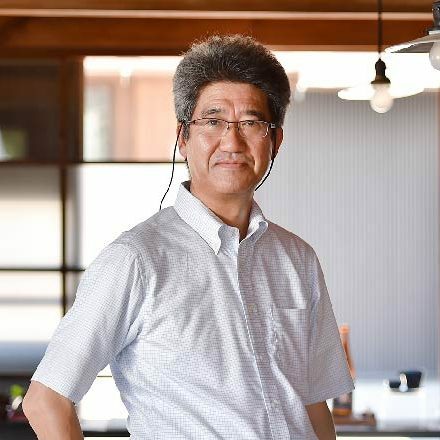 A year after the launch of “Toki”, Gifu prefecture sponsored an event to connect manufacturers and designers which led to the start of a new project. A prototype of a marble patterned clay was elected. Mixing together different colors of clay, poured into a mold and fired created a marble stone like pattern. Utilizing its matte texture and elegant color, a rounded flower vase and a coffee mug was made. “Feel the texture of the clay” not using any glaze, the product was named “likestone” after its graceful beauty resembling stone. A year later, collaboration with a Swiss renowned designer led to a new product based on the concept of “likestone”. They made a cone shaped aroma diffuser which could be divided into three pieces. To improve water absorption, a new porous clay has been created and blended. After pouring the essential oil inside, the oil can roll around to spread the aroma or it can be taken apart to use in different places. It can also be used as decoration when not in use. With its originality and high usability, it stood out as a ceramic product. It isn’t “impossible,” but “how can I do it? Various original products produced by cooperating with designers attracted attention from not only the ceramic world but also others. They are highly evaluated as art work, so they are displayed on special exhibition at museums and also sold at boutique stores in Paris. 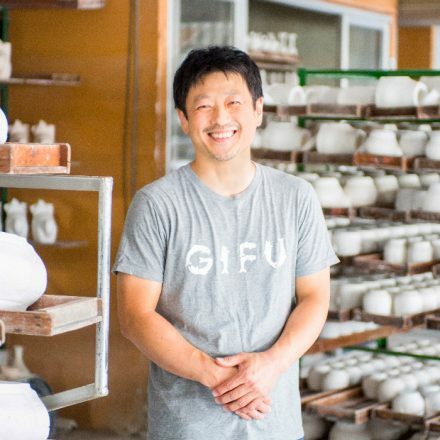 Working together with designers made them reinvent the conventional pottery’s theory. Some designer ordered the rims specifying in millimeters or using straight lines in their design which is not an easy task to recreate in ceramics. “Usually as common sense the answer would be ‘we cannot do it’ and that’s the end of the conversation but we tried to think about how we can solve the problem and make compromise with each other to make it.” A new product was born by adopting various ideas and challenging oneself. “It was unexpected for us to make a diffuser. It’s hard but interesting”. 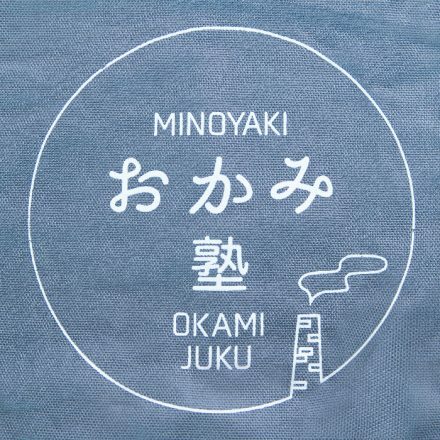 Minoyaki as ceramic products have infinite possibilities. 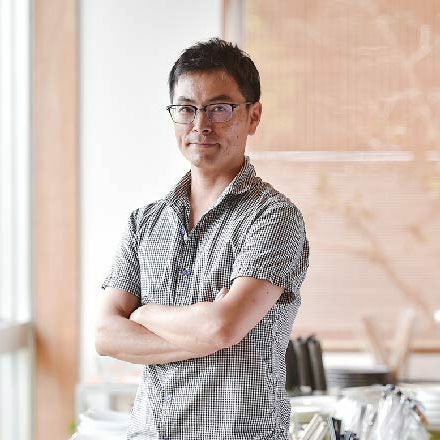 Kitamura is looking forward to the next product.